MedicalTek, pioneer of 3D endoscopic visualization, was highlighted on MEDICA, the leading international trade fair for the medical device arena. Please view our feature video interview on MEDICA 2018 live coverage. Dr Bernard Dallemagne is a pioneer in minimally invasive surgery and the first to successfully perform and report the laparoscopic approach to Nissen fundoplication. Breaking ground when using endoscopic procedures in the field of general surgery. 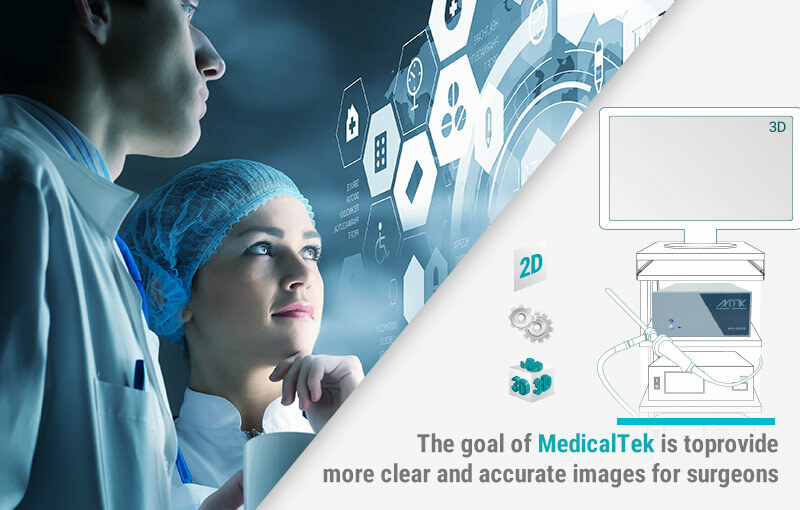 MedicalTek Co. Ltd., a Taiwan based company, develops and manufactures imaging systems for medical use in Minimally Invasive Surgery (MIS). It's main product, MonoStereo® 3D visualization system, is the first endoscope visualization system on the market to "keep 2D, See 3D" and offer easy-set, easy-alter adjustable 3D effects. S. Perretta, said: I am very intrigued by the system (MonoStereo) and I am looking forward to use it in a more clinical environment. S. Perretta recently received a 1,2 million euros grant by the national French agency for research (ANR - IDEFI-N) for the development of e-learning based surgical education. She is the 2017 recipient of the USIAS (University of Strasbourg's Institute for Advanced Studies) grant (140K) to found her research on Hybrid Materials for Fighting Obesity.